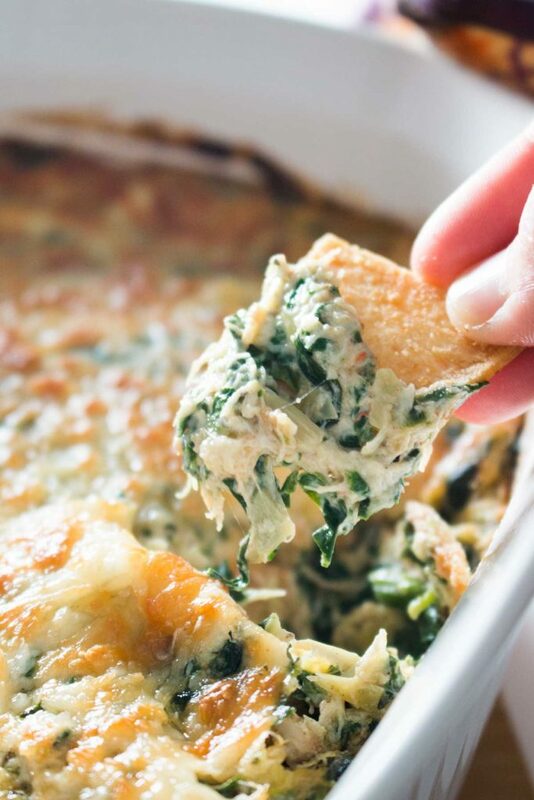 Baked Spinach, Artichoke, and Crab Dip | Pinch me, I'm eating! 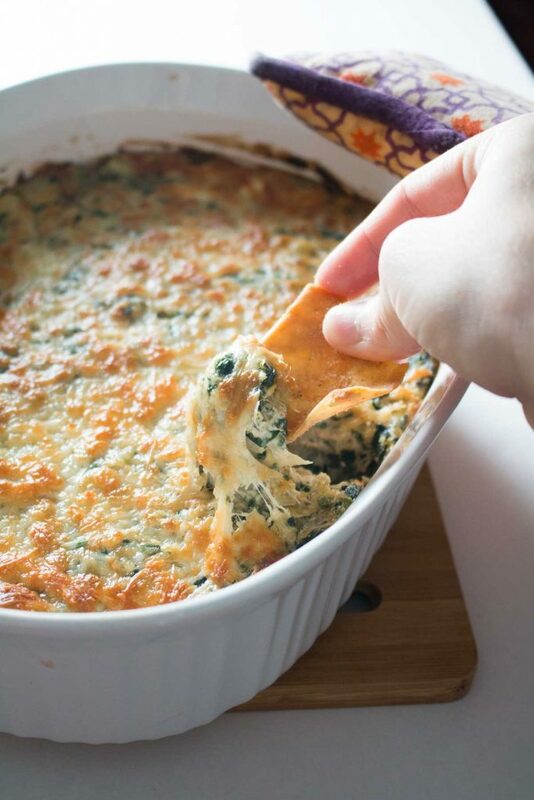 This hot baked spinach, artichoke, and crab dip is the best crowd pleaser party dip – easy to make ahead, perfectly cheesy, and full of the good stuff. 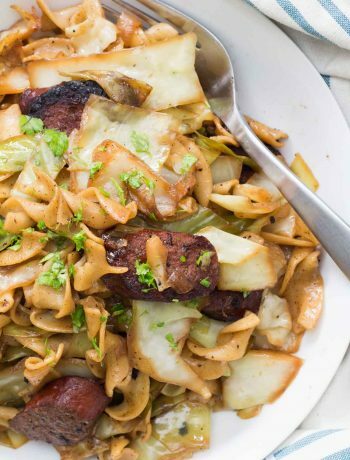 Can be made in the oven or in a crockpot! 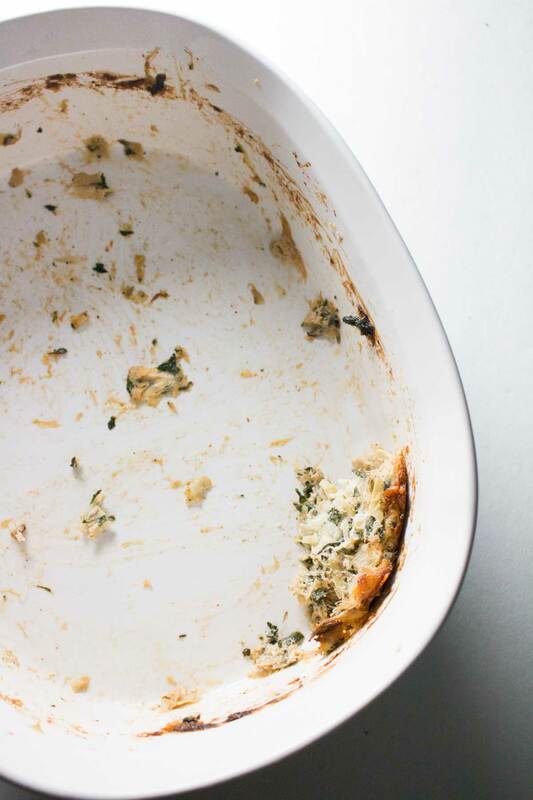 This baked spinach, artichoke, and crab dip is the answer to so many important questions in life. 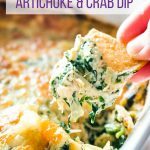 What do you do when you love spinach-artichoke dip but you also love crab dip and you can’t decide which one to make? Make this dip! What do you make for your in-laws for movie night during Christmas when you want something hot that you can make quickly, make ahead, and hang out with everyone in the living room while it’s cooking? This dip! What do you bring to a party on a Friday during Lent? This dip! What do you take photos of just out of the oven before said party, and think you’ll take some nice half-empty-casserole-dish photos of later when you get home to show more of the inside texture, but end up with this instead? This dip! Seriously. This dip. The answer to SO MANY questions. It’s hot, cheesy, and so full of Stuff. Problem solved: this recipe uses twice the artichokes as most recipes I’ve seen. Two whole cans of them. Here’s a tip about them, too. I’ve purchased many cans of artichoke hearts and been disappointed at how many tough, woody outer leaves there are on what’s supposed to be a tender vegetable heart. It seems impossible to get rid of the “bad leaves” without losing half the volume of the can. I asked my stepmom if she had a preferred brand of artichoke hearts, since she uses them moderately frequently and I’ve never felt like I’m chewing cud when she puts them in salads and other dishes, and without skipping a beat, she said Progresso, quite confidently. So I found some (they only had them at Publix, not Harris Teeter, where I usually shop, for anyone who might share the same grocery stores as me) and they really are a much higher quality than the other ones I’ve tried. Worth the trip to another grocery store if you can find Progresso brand. 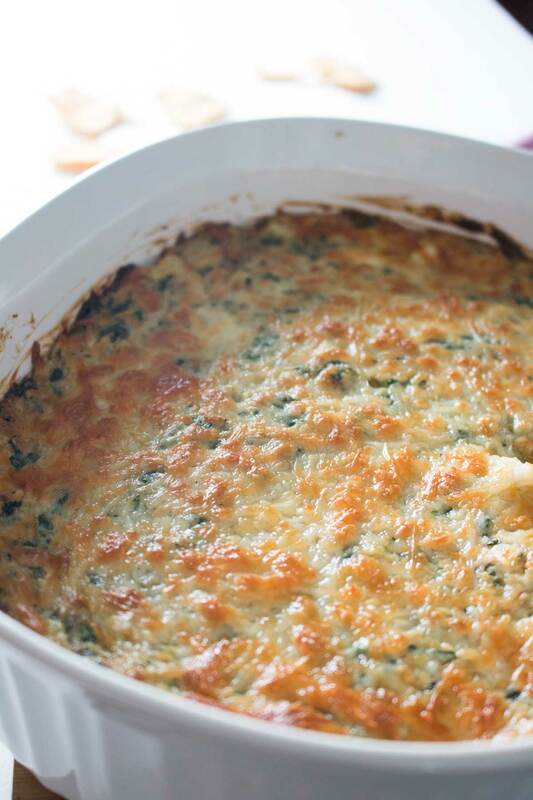 I also used fresh baby spinach for this recipe. I know a lot of people use frozen spinach for things like this, but use at your own peril. I have used frozen spinach for some homemade spinach fettuccini noodles I made, and that seemed okay, but when I tried to use what was left of the frozen spinach in another dish, it was TERRIBLE! And I LOVE spinach! Blech!!! I don’t know if I’ve hated any frozen vegetable quite as much as I hated that frozen spinach. For this, I just got a couple 5 oz bags of baby spinach, put it all in a giant bowl with a splash of water, and steamed it in the microwave for a couple minutes. Then you really do wring out as much water as possible with paper towels so your dip doesn’t end up watery, and then chop it up into smaller pieces. It tastes so fresh and spinachy, and not like dirt, like the other half of my box of frozen spinach did. I am serious, I don’t think I’m buying frozen spinach ever again. One time was plenty. I’ll just do the steam, dry, and chop trick next time I make homemade spinach pasta. I’m sure it will taste much more spinachy and not just look green. That said, while I do highly encourage the high-quality artichoke hearts and the fresh spinach, you do NOT need to buy the most expensive crab meat for this. None of that $12 lump crab or whatnot. The claw meat (or whatever least-expensive 8 oz container of fresh, real crab you find) is just fine for this, and while the pieces may be much smaller than the lump crab, the claw meat actually tends to be even more flavorful. So it’s less expensive AND makes for a more flavorful crab dip. Win-win! I put in two small cloves from my turbocharged mutant (i.e., for some reason unusually potent) head of garlic and it was just right, along with lots of Old Bay to complement the crab, some black pepper, and a bit of cayenne pepper because it just wouldn’t be right without a little kick. 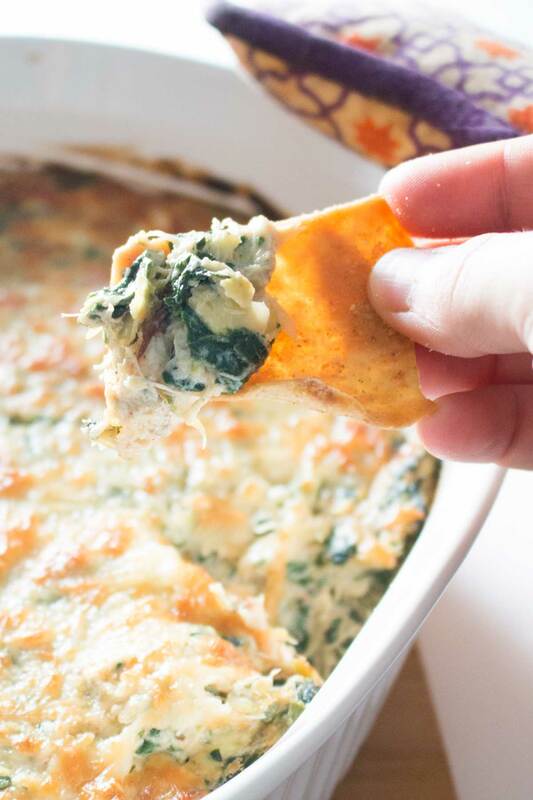 And with a cream cheese base and shredded parmesan both in the dip and on top, the spinach artichoke crab dip is still super cheesy even though has a very high stuff-to-filler ratio. And super cheesy is very important. I baked it uncovered for about 20 minutes until it was starting to get a little brown around the edges, and then broiled it for a couple minutes just to get that nice golden brown on the cheese on top. That color is so gorgeous! Then we headed over to our friend’s house and the dip was still plenty hot enough when we got there. The only downside of this dip is that the people at the party didn’t leave me any leftovers! I was so sad. But not too sad, because it did make me confident that I needed to share this recipe with you all. I brought a bag of pita chips to serve with this, and I think lightly toasted slices of baguette would be lovely too. If you want to go a little healthier or grain-free, try some zucchini or mushroom slices! I personally think raw zucchini slices are the perfect healthy dip-scooper. They don’t have too much of their own conflicting flavor, they have a nice amount of crunch, and if you slice them on the diagonal you get a nice big surface area. Do you have any go-to recipes to bring to parties? Tell me in the comments! 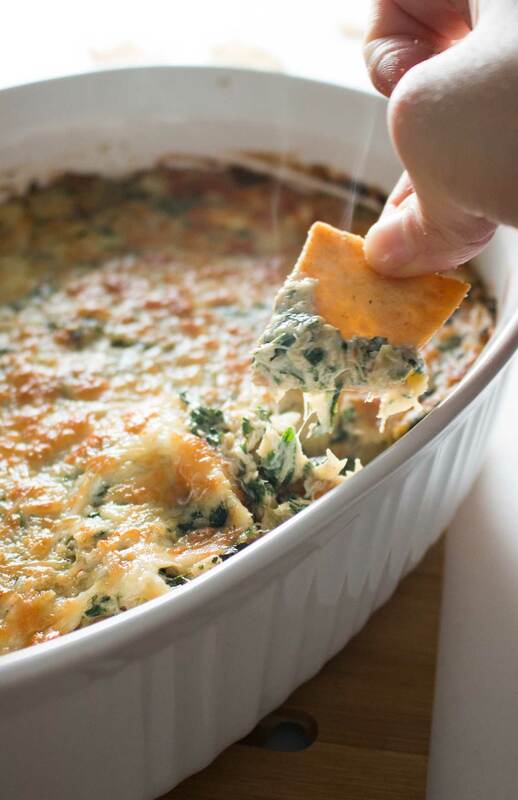 This hot baked spinach, artichoke, and crab dip is the perfect crowd-pleasing party dip - easy to make ahead, perfectly cheesy, and full of the good stuff. Can be made in a crockpot too! In a large bowl, mix together cream cheese, mayo, and sour cream until smooth. Dump spinach in a large microwave safe bowl with a splash of water. Cover and steam for 3 minutes or until fully wilted. Drain, put spinach in several layers of paper towels, and squeeze out excess water. Repeat with new paper towels until they don't soak through immediately. Chop into smaller pieces and squeeze out water again. Quarter artichoke hearts and then roughly chop them. Put artichokes on several layers of paper towel and gently pat to soak up any excess water. Repeat with new paper towels until they don't soak through immediately. Dump spinach, artichokes, crab meat, and 1 cup of parmesan cheese into cream cheese mixture and stir to combine. You should have a little parmesan left. Add garlic cloves, pepper, Old Bay, and cayenne pepper into bowl and stir to combine. Taste and add kosher salt to taste, if necessary. Spread evenly in a casserole dish and top with remaining parmesan cheese. Bake uncovered for 20-25 minutes or until dip is starting to brown around the edges. Turn oven to broil and broil for 2-3 minutes or until cheese is golden brown on top. Alternately, put dip in a crockpot and turn on until heated through. 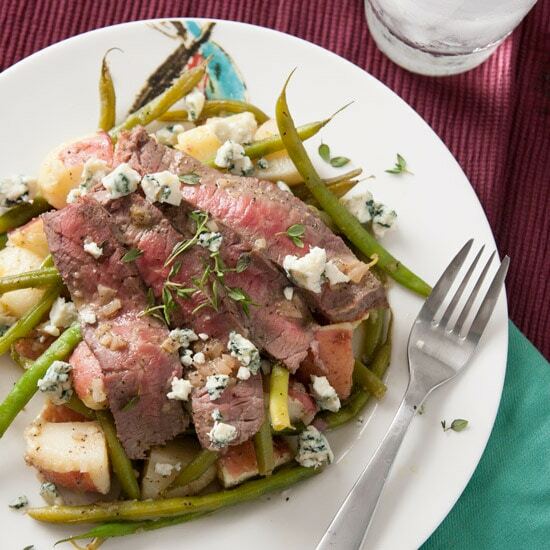 Serve with pita chips, toasted baguette slices, or sliced zucchini and mushrooms. I remember my first artichoke dip just after college. I was so enameled with it, so simple and good. It often became dinner for me as a single guy. Adding spinach and crab? WooHoo!! Sounds amazing, Caroline! And I agree with your stepmom about the Progresso, and also with you about fresh spinach. Happy Sunday! I could eat this by itself for dinner for sure! In fact, I think I made something similar last year for Christmas Eve and Mike and I just had crab dip with crudites for dinner. Yum! Hi James! This fits in a 2 1/2-qt casserole dish or a 9×9 square brownie pan. So, depending on the situation, it could feed 2-4 or up to about 16! If you’re eating it for dinner (I won’t judge, I’ve done it!) I’d say 2-4 servings. If you’re bringing it to a potluck party where there are lots of people bringing things, probably closer to 16. If you’re having a dinner party and serving it as an appetizer, I’d say 6-8. I hope that answers your question! Can this be put together the day before and baked right before eating? Yes, absolutely! You might have to add a little time to the baking if you’re cooking it straight from the fridge. Also, make sure that your casserole dish is okay to go from the fridge to the oven. Some materials will shock and break with that much of a temperature change so quickly. You can always set it out and let it come to room temperature for a little while (half an hour or so?) before baking to avoid both of those issues too. 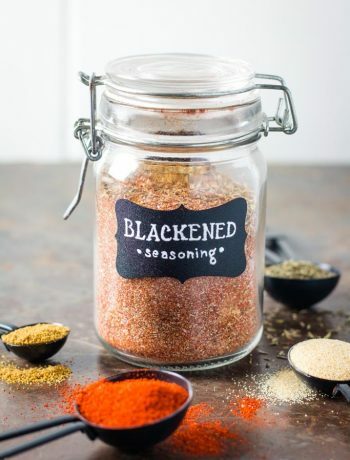 Have you ever tried it in a crock pot? Edited so I can be emailed abt replies. Hi Ash, thanks for commenting! I have not personally tried it in a crock pot but I don’t see why it wouldn’t work! You wouldn’t get the nice browning of the cheese on top, but if you’re willing to sacrifice that I’m sure it would still be delicious. I have seen at least a couple people comment on Pinterest that they made it in a crock pot. Alternately, if you’re looking to save prep time before you serve it, you can mix up the dip in advance and store it, unbaked, in the fridge until you’re ready to serve – then just pop it in the oven before you’re ready to serve it! You can also look for artichoke “bottoms” which don’t have any leaves. I find them at an Italian grocery store. That’s a good option too! No tough leaves in the bottoms for sure! BTW, I put the baby spinach in fresh without blanching it first and it worked great! I’m sure putting the spinach in raw is a great shortcut! 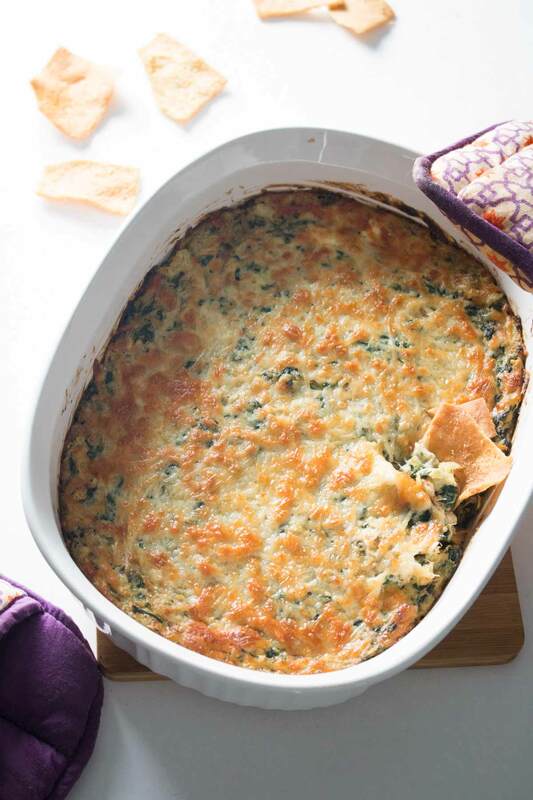 It may make the dip a little more runny due to the water in the spinach, so if you want the dip even thicker next time, steaming and wringing out the spinach would help with that. I’m so glad it was a hit! I switched the crab for chicken and made this into a lasagna,it was the best thing I’ve ever tasted in my life! That sounds like a pretty amazing meal! I’ll have to try that sometime!